The key to maintaining a healthy body and lose weight is following a healthy diet chart. The chart must contain the foods that are rich in protein and those which maintain a proper hormone level in our body, eventually resulting in weight loss. Protein helps in building muscle mass. If our foods don’t contain the nutrients we require, then our body will not be able to produce hormones properly or maintain a perfect hormonal balance. The food we eat either produces hormones or cause unpredictable hormonal imbalances. The human body always requires a proper balance of three macronutrients, proteins, carbohydrates and specifically fats. Fats play an important role in maintaining hormonal balance. Well, all calories are not created equally. Each food goes through distinctive metabolic paths in the body. They render vast different effects on hormones, hunger as well as number of calories burn. Here we have a list of foods that are known to be the best foods to eat and lose weight fast. 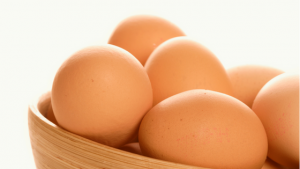 Whole eggs were once thought to have high cholesterol level but now it is coming back again. Recent studies have shown that whole eggs don’t affect the blood cholesterol adversely and even don’t increase the risks of heart attacks. This favourite veggie of Popeye is not only an excellent source of protein but even of Vitamin A and C, heart-healthy folate and antioxidants. One cup of this green vegetable can offer protein as much as boiled eggs. However, spinach has to be steamed instead of eating raw. Cooking it helps to retain the vitamins and it becomes easier for the body to absorb the calcium content of it. Oily fishes such as salmon are very healthy. It satisfies hunger and keeps one full for long hours with fewer calories. Salmon is rich in high-quality protein, many essential nutrients as well as healthy fats. Generally, sea fishes provide a high amount of iodine. It is required for proper functioning of the thyroid that helps metabolism to run optimally. Cruciferous vegetables are like broccoli, cabbage, Brussels sprouts and cauliflower. These vegetables are even rich in fiber and are fulfilling just like other vegetables. Cruciferous vegetables contain a good amount of protein. Well, they might not be very rich in protein like legumes or animal foods but they are highly comparable to maximum vegetables. These vegetables contain a perfect combination of fiber, protein, as well as the low density of energy and these make them ideal foods to incorporate in one’s diet for losing weight. Cruciferous vegetables even are very rich in nutrients and possess cancer-fighting elements. White potatoes are ideal foods for optimal health and weight loss. They possess wide range of nutrients incredibly. Many people are known to live on nothing else other than potatoes for long period of time. They are specifically rich in potassium, which is a nutrient that controls blood pressure. Boiling potatoes and then letting them cool down for sometime results in the formation of resistant starch in huge amounts. Resistant starch is fiber like material that is known to offer many types of health benefits, including loss of weight. Meat has been blamed for various kinds of health problems without backing up with good evidence. Well, processed meat has been said to be unhealthy but many studies have shown that red meat unprocessed doesn’t increase the risk of diabetes or heart disease. Two bigger review studies have shown that red meat only has too weak correlation with causes of cancer in men and there is no correlation with women. The true fact is that meat is a friendly food for weight loss as it is rich in protein. It is by far the most fulfilling and consuming rich protein food can burn about 80 to 100 or more calories each day. Tuna is a lean fish that is rich in protein and has low calorie. This is very popular fish among fitness trainers and bodybuilders as it is a good way for keeping protein high and low fat. If one emphasises more on protein, then tuna canned in water will be the best choice. There are some legumes and beans that can be highly effective for weight loss. These are like black beans, lentils, kidney beans and many others. These foods contain high protein amount along with fiber. Moreover, these two things are known to cause satiety according to some studies. Legumes and beans even contain little resistant starch. Dairy products contain a high amount of protein and one of the best ones to mention is cottage cheese. It mostly contains protein but also too little fats and carbohydrates. Consuming huge amount of cottage cheese is an excellent way to increase intake of protein. This cheese even is much satiating and will make one feel full with almost less calorie amount. Dairy products even are known to be rich in calcium and this nutrient has shown to help in the process of fat burning. Nuts are rich in fats but they are not adhering to fattening. These are great snacks that contain balanced amounts of fiber, healthy fats and protein. Several studies have shown that nuts can help in improving metabolic health and cause even weight loss. Population research studies even showed that individuals who intake nuts are leaner and healthier compared to those who don’t. Avocados are a special kind of fruit that are rich in monosaturated oleic acid. This is the same substance which is even found in olive oil. Avocados contains high amount of healthy fats but even loaded with plenty of water. The healthy fats help the body to absorb and employ the nutrients. Avocados are rich in potassium, fiber, magnesium, vitamins B and E as well as folic acid. All these things are essential to maintaining hormonal balance in the body. Apple Cider vinegar is very popular in the community of natural health. It is used popularly in condiments such as vinaigrettes and dressings. Many people even drink it after diluting in water. Many research studies have shown that vinegar in humans could be beneficial for weight loss. If one takes vinegar with high-carb food at the same time, it can enhance the feel of fullness. One study was conducted in obese individuals and it showed that intake of 15 to 30mL vinegar for 12 weeks each day resulted in weight loss of about 2.5 to 3.8 pounds. Vinegar is also known to decrease blood sugar. There are some whole grains that contain fiber and protein in good amount. Oats, quinoa and brown rice are some notable examples. Oats contains beta-glucans. These are soluble fibers that help in improving metabolic health and enhance satiety. Both brown and white rice contains good amount of resistant starch, specifically if it is cooked and let it cool for a while. Well, if someone is on a low carb diet, then avoiding grains would be better. Chili peppers can be very useful to include in weight loss diet. It consists of a substance known as capsaicin and this has shown to aid in reducing appetite and enhances burning of fat in several studies. Chili peppers are common materials used in various commercial supplements of weight loss. A study showed that consuming 1gram red chili pepper decreased appetite and enhanced burning of fats in individuals who didn’t eat chili peppers regularly. 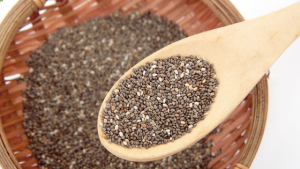 Chia seeds are one of the most nutritious foods found on earth. They consist of carbohydrate 12grams per ounce, and this is quite high. These seeds are friendly low-carb food and are even one of the greatest sources of fibers. Due to the fibers, these seeds are able to absorb about 11 to 13 times their weight in the water; turns gel like and then expand in the stomach. The composition of nutrients in chia seeds make them useful for weight loss. Following a healthy diet incorporating protein-rich foods can help a lot in losing weight. The above mentioned list of best foods to eat and lose fats fast will provide a good idea about the essential foods to include in your diet.